← Why is Everyone Suddenly Talking About Food?? What is the difference between “organic” milk and “conventional ” milk? If you are standing in the dairy aisle, the obvious answer might seem to be “price”, as organic milk is usually higher priced and the premium is not small one. But what answer might we get from an organic dairy farmer? Why did they choose this method and how does it actually work? Read about it here. 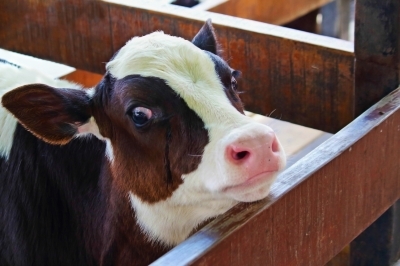 Are cows in large farms treated in an inhumane way? Can they be best loved only in a small farm? To a consumer, a cow is an animal that is the source of the milk for their morning cereal. Dairy farmers tell us what their cows mean to them, no matter what the size of the farm.